The new Yamaha XDA-QS5400RK MusicCast Amplifier is a streaming device developed specifically for whole-house audio installations. The Yamaha XDA-QS5400RK MusicCast Multiroom Streaming Amplifier streams an array of services, including TIDAL, Spotify and Pandora, and it is also compatible with 24-bit/192kHz high-resolution audio files. 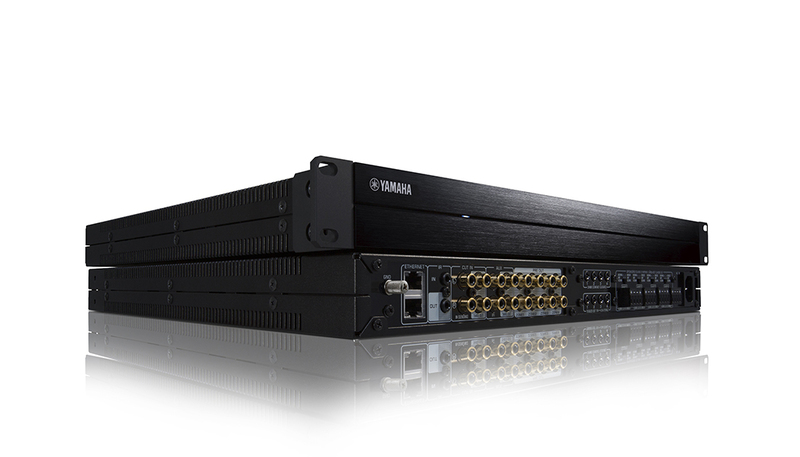 Expanding its MusicCast family of products, the new $2,700 Yamaha XDA-QS5400RK MusicCast Multicast Streaming Amplifier can be set up to serve as many as 32 zones. Yamaha says the amplifier was specifically engineered for custom installation applications, and the quad-streaming (QS) design provides setup flexibility to help integrators meet a range of homeowner needs. "Our AVENTAGE AV receiver line has long been a choice of custom integrators building state-of-the-art surround sound systems. Now we're making it easier than ever for integrators to expand beyond the home theater to bring Yamaha true sound and reliability to every room in a home," says Robert Goedken, general manager, A/V division, Yamaha Corporation of America. "The Yamaha MusicCast ecosystem keeps getting better and custom integrators are going to love the QS." A key design element of the latest Yamaha MusicCast product is that it integrates into both Ethernet-based and wireless networks, helping integrators build whole-house systems employing MusicCast products. The amp stands 1U-high and it installs into racks and furniture. Yamaha ships the multiroom streaming device with removable rack-mount ears, and its dual LAN ports enable integrators to daisy-chain multiple units within a rack to configure up to 32 zones. The XDA-QS5400RK supports several streaming services including Spotify, Pandora, SiriusXM Internet Radio, TIDAL, Deezer, SiriusXM for Business, and Napster. The product also supports high-resolution audio streaming with resolutions as high as 24-bit/192kHz, and also supports local source components such as TVs and turntables. The device offers a few different control options such as its free MusicCast app and supports a few third-party control systems from top brands like Control4, RTI, and Elan. In addition, the XDA-QS5400RK provides voice control when used with Amazon products such as an Echo or Echo Dot, and it configures easily through the app or an advanced web interface capable of storing profiles for future integration projects. Internally, the product utilizes 32-bit/384kHz digital-to-analog converters (DACs) and ICEpower integrated amplification technologies to power its eight channels. Other features include a "chime" option that permits a chime sound to generate in any zone based on a contact closure from a door or gate, and the ability to add the companion XDA-AMP5400RK Multi-Room Amplifier that can be used to, "boost speaker output or expand an installation to cover more rooms."